RECREATE AND SHARE THE LONDON EXPERIENCE THROUGH PUZZLE FUN. A SET OF FIVE SQUARES, COVERED WITH FRAGMENTS OF FOUR PICTURES, AND WITH CUT-OUT WINDOWS, FOR YOU TO LAYER CORRECTLY ON TOP OF ONE ANOTHER. YOUR AIM IS TO COMPLETE A LONDON VIEW ON ONE OR BOTH SIDES OF THE PILE. EIGHT PUZZLES TO CRACK, INVOLVING FOUR STUNNING VIEWS OF THE BRITISH CAPITAL: TOWER BRIDGE, LONDON EYE, BIG BEN AND HM GUARD. THIS ENTERTAINING MIND-BOGGLER WILL APPEAL EQUALLY TO THE EYES AND THE MIND. 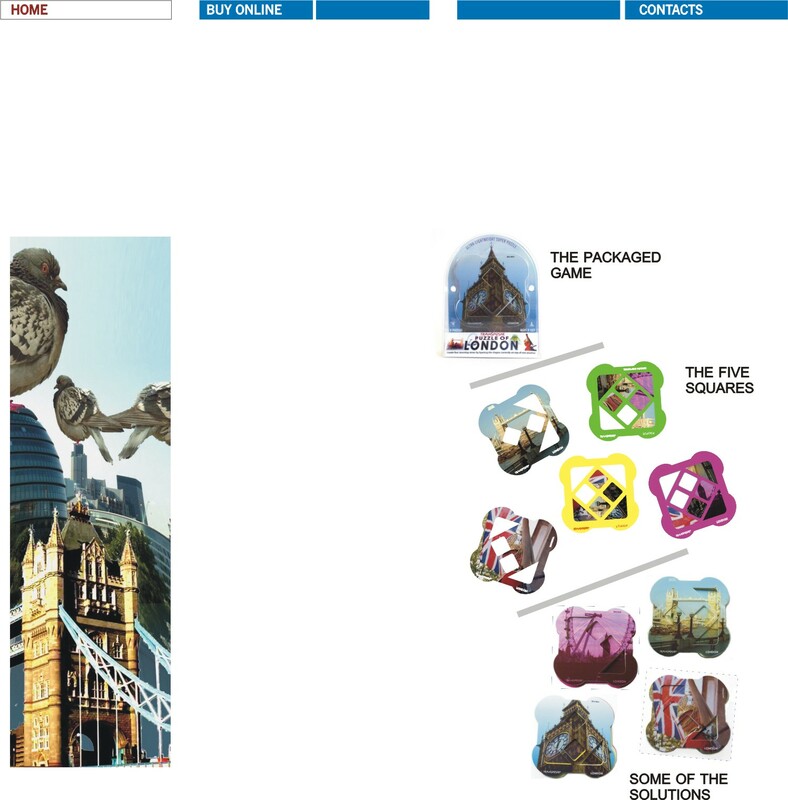 AN ATTACHED BOOKLET "THE GLORY OF LONDON" IS FULL OF HISTORICAL ANECDOTES AND FACTS ABOUT THE FOUR ICONIC LANDSCAPES.